Papa John's has apologized again and trying to find more ways to distance itself from its founder and namesake. As you've no doubt heard by now, Papa John Schnatter resigned from the pizza behemoth after a tape of him saying the n-word on a company call was released, and the chain what to do with the name he left behind ever since, even removing his likeness from all company materials and evicting him from Papa John's headquarters. In an attempt to exert some control over this narrative, Schnatter set up a website devoted to defending himself last week, creating yet more problems for the chain. On Friday, Papa John's (the company) posted the ad you see below to Twitter. In it, the company apologizes, thanks its customers for their anger, and showcases disappointed tweets from Twitter users. "You expected better from Papa John's," the clip reads. "So did we." In a second tweet, the chain explained that it is "working to earn back your trust" and linked to a statement from CEO Steve Ritchie. 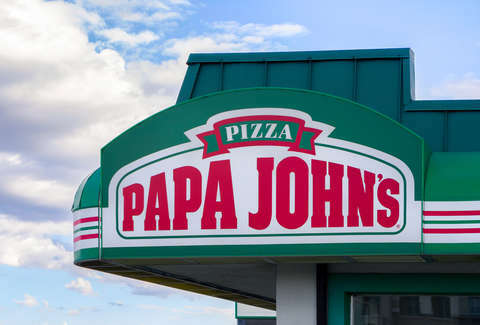 That statement outlined plans for a listening tour of Papa John's franchises to get feedback from owners and employees; an "independent cultural audit and investigation of our diversity and inclusion practices"; an increased emphasis on diversity company-wide, including the creation of a special advisory group; a "Papa John’s minority-owned franchise expansion and development program"; and the formation of a foundation "focused on making a positive impact in communities where our team members live and work." It was also announced that the leadership of the company has received unconscious bias training, and that training will make its way to the rest of the company. Starbucks took a similar action earlier this year after two black men who were waiting to start a business meeting were arrested for trespassing. Starbucks, however, shut down all of its stores for an afternoon to implement the training, and it doesn't look like that'll be the case here. In any case, John Schnatter's name is still on the box.